A veteran in mobile technology companies, Ted Verani is responsible for business development and strategic partnerships with game developers, publishers, and platform providers. Prior to joining wappier, Ted was VP of Business Development for Scientific Revenue, a pioneer of dynamic pricing for mobile games. Ted is experienced in sales, marketing and business development having had leadership roles with mobile technology start-ups, including Trilibis Mobile, Enpocket (acquired by Nokia), Landmat (acquired by Enpocket) and Jumbuck, a ASX listed mobile entertainment company. 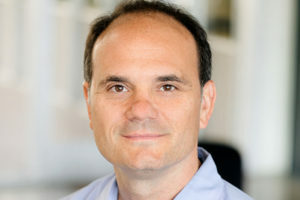 Earlier in his career, Ted worked in product management for Vodafone, where he was responsible for Content & Applications, and AirTouch Cellular (now Verizon Wireless) where he launched some of the first SMS products in the United States. Ted is a frequent speaker at industry events like Casual Connect, Pocket Gamer Connects, SXSW, Digiday, Mobile Marketing Forum, Mobile Entertainment Show, SV Mobile Monday, OMMA Global and more. Ted holds a M.B.A. from the University of Southern California, and a B.A. in economics and international relations from UC Davis.